If you’re an entrepreneur and either already have a business or are thinking of starting one, you might want to learn how to embrace risks. Taking risks is often looked at as scary, where you jump with two feet in without thinking, but that couldn’t be further from the truth. Most business owners have taken some sort of risk in their tenure, but I would bet that all of them took the time to do their due diligence to ensure that the risk they were about to take was worthwhile. Taking risks as an entrepreneur takes careful planning and hard work. When I closed FITzee Foods, I knew that I wasn’t going to get a 9-5 job. I’d already done that fresh out of college as a financial analyst for Moss Adams. Sitting in a cubicle wasn’t for me, I hated it! So, I had to come up with a new idea, one that I believed in and that would bring me fulfillment. Hence, The Pitch Queen was born. 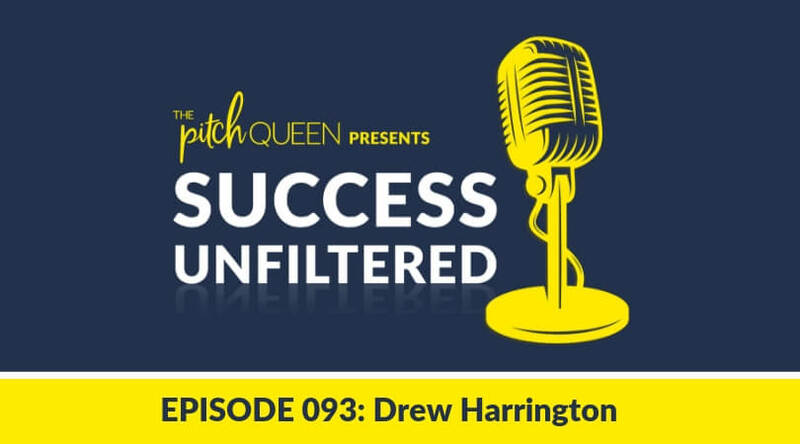 When I decided to start The Pitch Queen, I didn’t know whether it would be a success or not. I knew I was on to something, and I had created some preliminary plans for what it would look like, but I had NO certainty that The Pitch Queen would take off or that my podcast, Success Unfiltered would be a hit. I took the risk anyway. I had a gut feeling, and I trusted those feelings so I went with it. 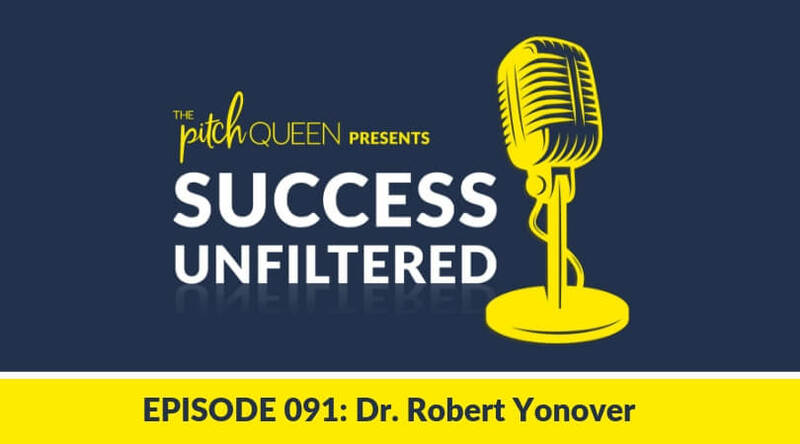 Now, Success Unfiltered is just over 200,000 downloads, and I’ve narrowed down my niche so that I know who I want to teach how to overcome their sales challenges, accounting professionals. Nothing happened overnight, but with the right amount of work and with the right team, The Pitch Queen and Success Unfiltered had become a success. The entrepreneurial journey can be one of the most fulfilling paths you take, but it is full of risks. I am personally very grateful that I took the risk over a year and a half ago to close a business that was near and dear to my heart and jump two feet into another venture. It doesn’t matter how well you plan or how hard you work, there will always be risks involved with your business. A guest on Success Unfiltered, Jenna Ryan, took a major risk when she left her stable 9 to 5 job, and it has served her very well. When Jenna was working her 9 – 5 she was working at DocuSign and absolutely loved her job there. She worked on the eCommerce growth and marketing team and had the most amazing boss, someone she would have followed to the ends of the earth. However, together with a coworker, Jenna decided to launch her company Uqora, about 6 months before she left DocuSign, which is a company dedicated to helping women prevent UTIs. When she began Uqora it was just an experiment. They suspected that they had something amazing, but weren’t really sure if it was something they should pour all of their time into (yet). As time went on, Jenna and her business partner began to realize there were a ton of women out there looking for products that they were developing and that she didn’t have enough time to dedicate to her company, while she was still working a 9 – 5. Jenna had to decide whether she was willing to take the risk and jump ship at DocuSign. A job where she had spent time imagining a life and career path that would have been pretty amazing. But, Jenna realized that taking the risk and dedicating herself fully to Uqora was where she was going to find the most fulfillment. Jenna told me that it has been incredible growing Uqora and being able to impact millions of women who need better UTI prevention. As you can see in Jenna’s situation, risks can be scary, but if you work hard, they can almost always be fulfilling. That statement is true for me, and I would bet that it would be true for you, too. When Jenna was younger she had a very different understanding of what it meant to be an entrepreneur. She had this cartoon version of entrepreneurs in her mind. She pictured the inventor in their garage working on whatever new invention they’d just thought of. But, we all know that’s not the case. We know and understand that the word entrepreneur has a pretty broad definition. Honestly, being entrepreneurial just means that there aren’t set rules for you or your business. Everything is flexible. Knowing this can be SO empowering to anyone at any point in their career. You’re able to feel like you don’t have to be in a box and do things exactly like everyone else. Whether this means you make a small change in your professional career or a huge change and go out and start your own business, what makes you feel more empowered is taking the risks that you’ve been fearful of. The world is yours, don’t feel confined to do things the same way everyone else has. Strike out on your own path and just wait for the feeling of fulfillment to sweep over you. Whether you desire to create a business or grow on your current career path, assess the risks and then don’t be afraid to take the ones that will bring you the most happiness and fulfillment in your life. Personally, I am all about finding your path. It may not be the easiest path, but it would be the most fulfilling. Have you ever encountered a massive risk, that you faced head-on and experienced more success because of said risk? I’d love to hear about it in the comments!